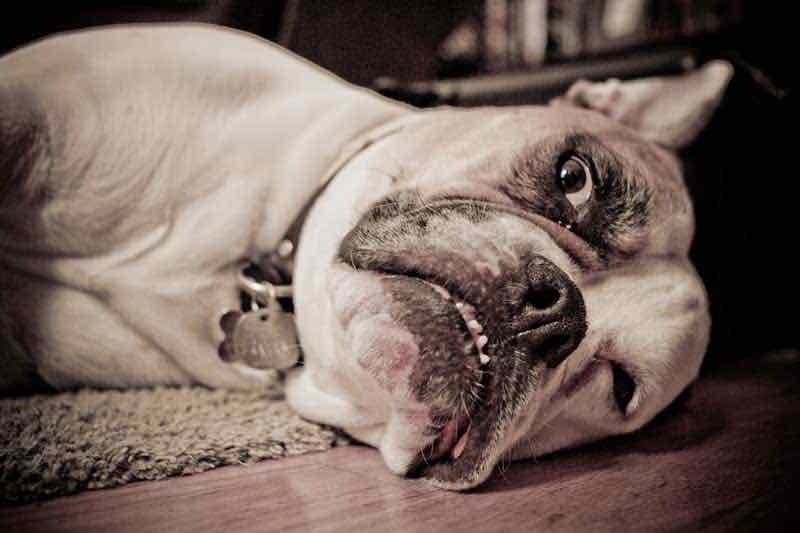 Dog Breeds That Hate Working Out Just As Much As You Do! These dog breeds are ideal for you if you consider yourself a lazy person. The majority of dog breeds can adapt to any environment as long as they’re getting properly exercised. But sometimes it would be nice to come home and not be immediately greeted by an overactive dog that jumps all over you and just wants to play, play and play! Fortunately, there are some dog breeds who require a lot less energy, thus making them perfect for snuggling in bed because, darn it, the couch is so far. 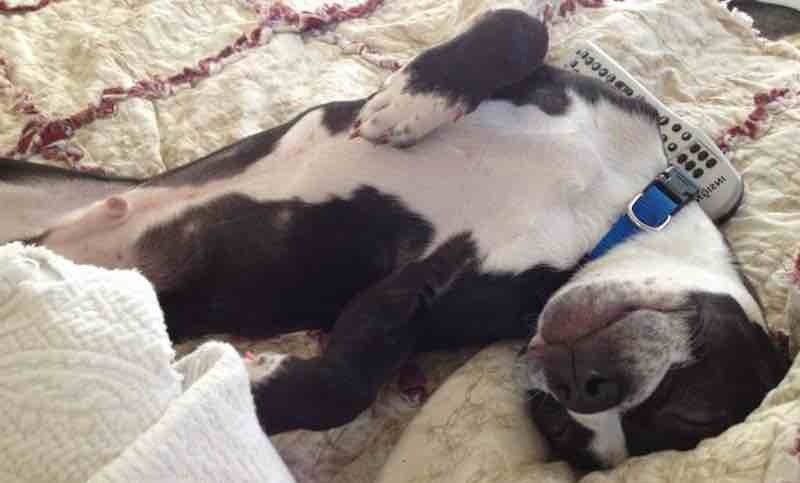 Here is a list of lazy dog breeds that are perfect for couch potatoes. These short, compact breeds might look like they mean business, but inside they’re just big babies who want to curl up with you on the couch. These dogs get hot and tired easily and prefer the indoors. They’re also just stocky and intimidating enough to ward off would-be thieves. With a short-haired coat that makes grooming practically unneeded, the Bulldog is the best roommate you’ll ever have. Don’t be fooled by the Shih Tzu’s yappy dog reputation. The Shih Tzu is actually a friendly and alert dog that can be the perfect pet with proper training. Small and not very fond of the outdoors, these dogs are perfectly content with following you around the apartment all day as their daily exercise. However, their long hair means they shed a lot and will require daily brushing. But hey, it takes great effort to look this cute! This dog, best known for its unique blue/black tongue, will spend more time on your couch than your unemployed roommate. Notoriously lazy and sensitive to heat, the Chow Chow prefers lying around in the cool indoors than running around and playing. However, their aloof nature means they might come across as too cat-like for some dog owners. 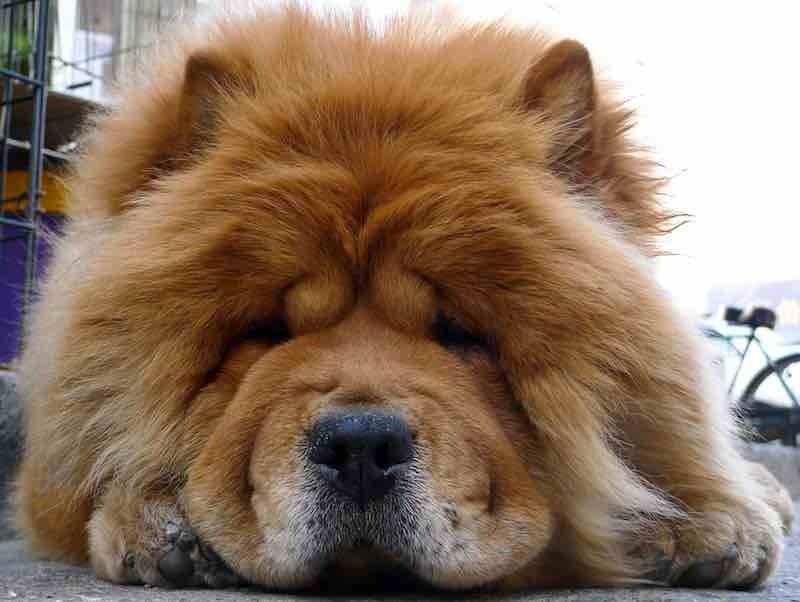 But if your apartment can handle this dog’s 70-pound stature, the Chow Chow will make the perfect cuddle buddy. These happy, intelligent dogs get along with everyone, even your annoying neighbors. 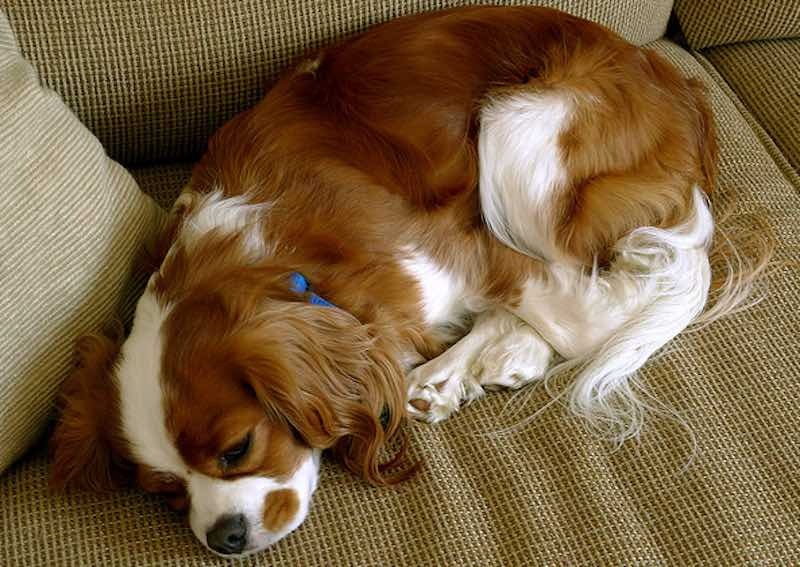 Unlike other small breeds, the Cavalier King Charles Spaniel is naturally quiet and is only prone to yapping if not properly trained. Its energy level only requires brief playful romps around the living room before collapsing into your lap to take a long nap. 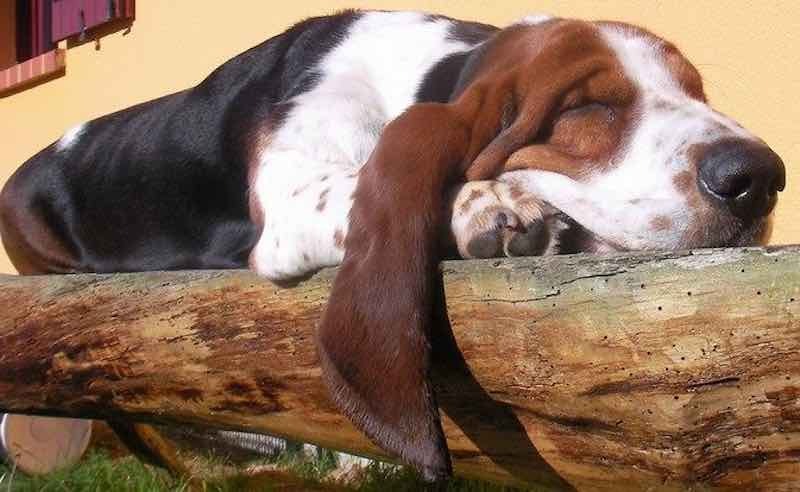 Unlike other breeds on this list, the gentle and laid-back Basset Hound is only lazy when he’s inside. Once outside, this breed can easily run and sniff for hours. After all, this breed was bred to hunt, and it wouldn’t be fair if they weren’t allowed to fulfill their primal instinct. However, as long as they get that daily walk, they’ll remain quiet and calm while inside. They also get along well with other animals. Playful and always hilarious, the Pug doesn’t need much activity to have fun. Sensitive to extreme temperatures and prone to breathing problems, the Pug is happiest when frolicking around indoors. 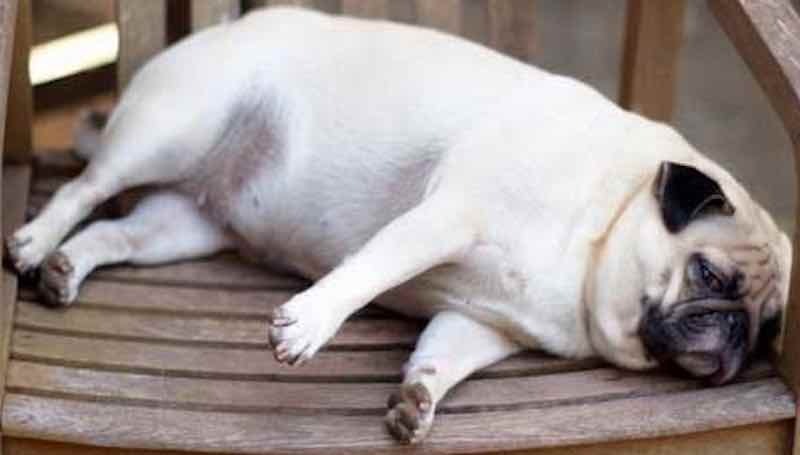 But beware — this dog breed is sometimes prone to overeating, and getting a fat Pug to lose weight is as hard as getting your landlord to fix that leaky faucet! 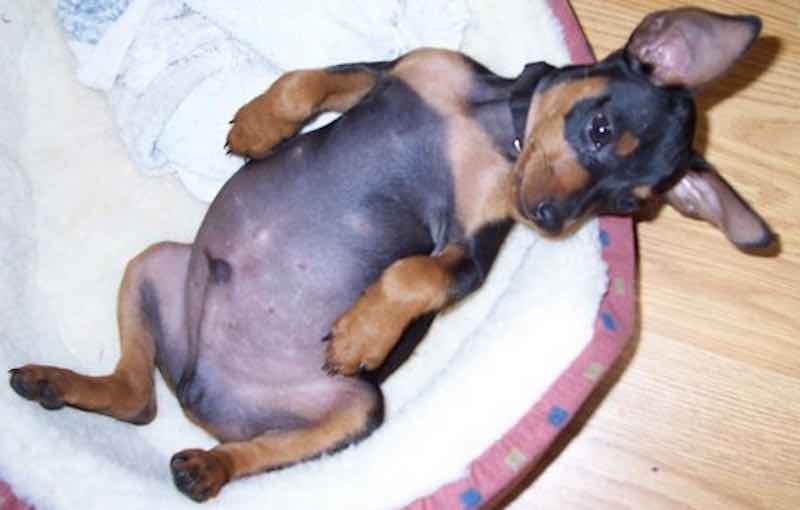 Although not quite as low energy as other dogs on this list, the Miniature Pinscher’s small size is perfect for apartments. After zipping around the living room a few times, this dog is ready to curl up in a corner and take their eight-hour nap. Relatively healthy and easy to groom, it’s no surprise why the Miniature Pinscher is so popular with apartment dwellers. Similar to the Bulldog, the Boston Terrier is a short, compact dog who’s friendly and easy to train. Indoors they stay pretty inactive, releasing all their energy outside during their short daily walks. Their small size also makes them perfect for tiny studio apartments. 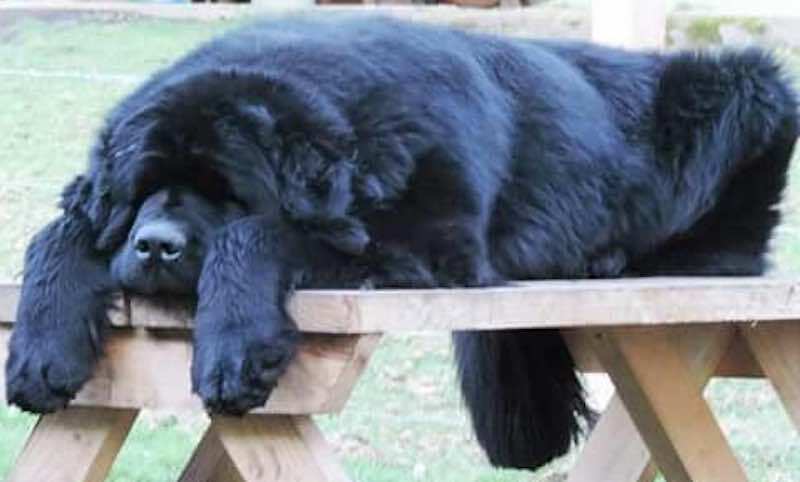 Contrary to popular belief, these massive dogs are massively laid-back and lazy. Naturally quiet, calm, and yes, lazy, this dog doesn’t require much activity indoors. As long as they have a place to nap, they’ll be happy. And their huge size makes them the perfect guard dog. The only downside? Convincing your landlord to accept a 100+ pound dog. What is the laziest dog? Probably the Newfoundland is the laziest dog breed in the world – The Newfie, dubbed the gentle giant, requires encouragement to exercise. Actually, encouragement is probably an understatement. These dogs are so lazy that they may simply refuse to move, which is a problem when you’re talking about a 100-pound dog! Previous Previous post: Iron Man’s Dog is a Player!